When I recently registered my new domain name, I decided to try something different. Over the last few years, ICANN (Internet Corporation for Assigned Names and Numbers) has approved more than 1400 new top domain names. Instead of having to use .COM, .NET, or .GOV, there are now other alternatives – like .TECHNOLOGY, .SALE, and others. A bigger list can be found here. 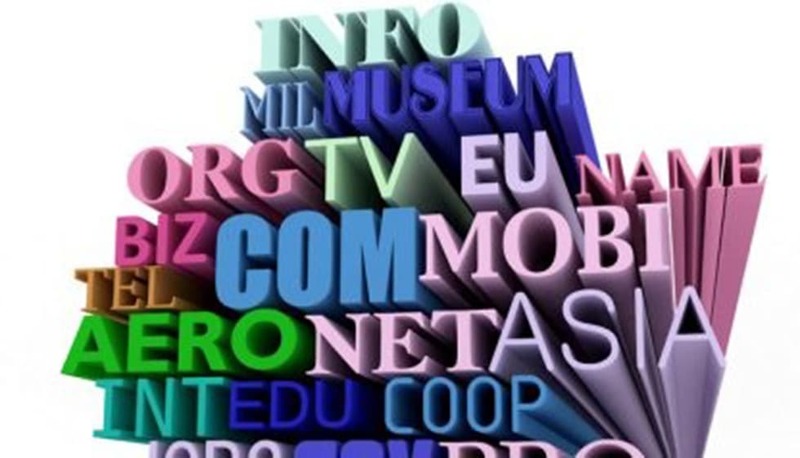 Most registrars offer these new top level domains (TLD’s). While ICANN was pretty excited about the roll out, some folks were not. Many online articles who argue on either side of the issue point out the pros and cons in terms of a business decision. A good reason to use a different TLD would be so that a person or business can choose a name that better suits their name, brand, or business name. Some feel that this just opens the door for more cybersquatting, causing businesses to have to spend more buying all TLD’s to keep their brand from being abused. Still others don’t see a benefit because it doesn’t give any advantage within search engines. Personally, I tried to find a domain name that matched my company “Scott Moore Consulting” with a .COM extension, but I just couldn’t find one that properly reflected the name which was not already owned or too long. I opted to choose scottmoore.consulting as the name. From a business perspective, it made sense. When I am hired by clients, they at least know my name. How easy it is to tell someone “just put my name dot consulting in your browser”? It also makes remembering my email address easy. ME: I need to change my email address. The word “consulting” would replace the “.com” at the end of a domain name. Your system apparently does not support this extension. Is there any way I can get this manually updated by someone? I need to change this email to reflect my new business. HOOTSUITE: Interesting issue! I’ve not heard of this new domain. I’m adding Customer Support to this reply; they can investigate and, if possible, change your email address on your account. HOOTSUITE SUPPORT (2 days later): Please log in to the account and click the down arrow on the upper right and select Preferences. Go to Change Email menu to change the registered email address of the account. ME: It does not accept the email address. However, this is a valid email address. .CONSULTING is a new top level domain. HOOTSUITE SUPPORT (3 days later): Can I have the specific error message that you’re getting? I don’t see any accounts associated with that email address. Can you please check its spelling? ME: I just started using a new email <gave them the email address> and Hootsuite will not allow that new email address to be submitted. This is the reason you do not see an account with the latest email. When I try to change my email and press the submit button labeled SAVE ACCOUNT INFO, a message come up that sales “Please enter an email address”. What is happening is that the form validation code on that submission form has verification logic that checks for a valid email and it does not recognize the newer top level domain extensions, like .consulting. They probably still have code that looks for only a .com, .net, or.org and this validation code needs to be revisited. I won’t be able to use my new email (which is valid) until they address this. HOOTSUIITE SUPPORT: We apologize for the inconvenience. I believe we don’t accept that domain name of email address as valid. You can also verify that from this link: http://verify-email.org/. ME: Whether Hootsuite or the website you reference accepts the email address does not mean it is invalid. I am using it everywhere else and it works fine. I am just making you aware of the fact that a defect needs to be entered for this and the code needs to be updated. You can choose to change the product to accept it or not, but the email is valid. HOOTSUITE SUPPORT: We apologize but our system does not accept that email domain. We only accept email addresses that will be also accepted to the link given from my previous email. This is not to pose Hootsuite in a bad light. I love their product and service. Still, it took a week of back and forth to get to the root of the issue (they need to update their code). Because they are relying on code from verify-email.org to determine if an email address is correct or not on a form field, anyone else who does this will be affected too. Perhaps they are calling a service that does the verification and that one service needs to be updated and tested and all would be well? If I use the verify-email.org site and put in my email address into submission form, it returns a “Result: Bad” message. Who is to blame, the company who relies on a 3rd party for form field validation, or the 3rd party supplying the original code? Who is testing this – or who should be testing this? The next challenge was with Verizon. I needed to update my profile to reflect my new email address so that my monthly bill be sent to the new email address. I had the same issue. The returned “invalid email address”. I called Verizon support (which was a good experience). They were able to update the field from within their software (so perhaps the client side software is the only one that needs the logic on the form field tested). It all seemed to be smooth until the next day, when I received a text message from Verizon stating they could not send an email to the new address I had on file and that I should sign in and put a valid email address in. At this point, I am regretting my TLD choice just a little (but I am not going to change it). Now I am wondering what will happen when I update my profile on travel related sites like airlines, rental cars, and hotels that I have been registered with for over a decade? All testers out there already know the point I am making. Developers and QA: If you work on any software that validates email addresses for login, registration, or any form field that does client or server side validation on email addresses – update the code and create test cases that verify the new top level domains are permitted. I realize this is a “first world problem”, but your users will thank you for making their life a little easier. Agree or disagree? What are your thoughts and how should this be handled?